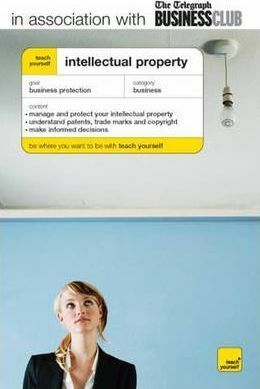 Teach Yourself Intellectual Property Pb. A practical guide to intellectual property, currently one of the biggest minefields for organisations, this book will be written by the leading experts in the IP field, including senior members of the Patent Office and leading patent attorneys. Acquiring patent can be expensive, with an average cost of GBP5,000 and this book will help you to manage the parts of the process that you can without costly expert advice but will clearly mark out the areas where expert advice is definitely recommended. It will comprehensively cover all aspects of IP, from the essentials of registration, the practical business application, international aspects and perhaps most crucially how to conduct your own audit and avoid losing rights to your own intellectual property.